This Vehicle Warning beacon light is our new developed safety product and with feature of environ-mental Protection,energy saving. 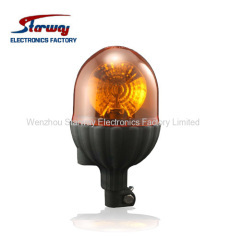 - A durable,attractive and nice warning lights in appearance. - Very practical and widely applied on heavy duty vehicles. 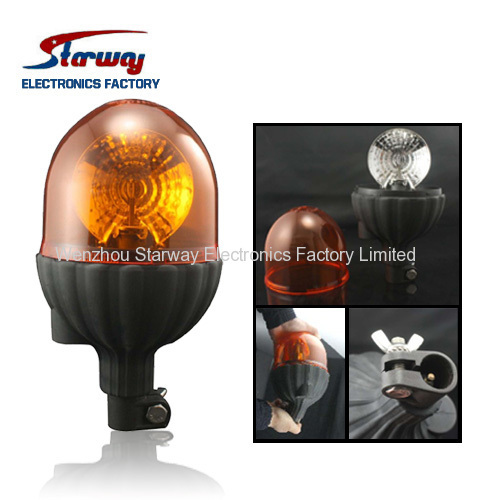 - Covered with smooth amber nylon housing which is non-corrosive and bendable rubber bracket for firm mounting . - Replaceable housing with rubber O ring,easy to maintain and replace. - Halogen bulb emit an attractive lighting warning effect. - Meet SAE J845 CLASS 1 requirements and ECE R65. - Lens color can be costumed. - Universal DIN A pole permenant mouting,easy to mount and take down. What type the siren speakers is ? How to check your Dash Warning Lights?